So as you all know one of our favorite cosmetics items is Mascara! We are all about eyes and eyelashes and absolutely can’t live without a good mascara. But we realize that not all of us want the same thing out of a mascara. Some like a clean natural look, others like skyscrapper lashes, some want thick, volumptuous lashes and others want length and thickness. Well lucky for you all We (Kiss and Wink) did our research and we have a mascara that will meet everyones lash needs. Keep reading to find out which mascara is right for your the look you are going for. This Mascara will give you extreme length. If you are looking for skyscrapper length lashes, this is the one for you. 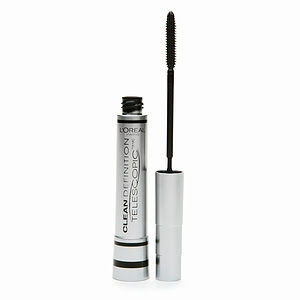 This mascara will give you intense volume with ou clumping. It is formulated with collagen to instantly plump lashes up to 8 times the normal size. If you are looking for extreme length and volume this is the one for you. It had serious definition, volume and length with just one sweep of the wand. If you are in the market for clean, natural looking lashes then look no further. This mascara will give a natural, clean eyelash look without clumps. No matter what the lash look you are going for, we got you covered. Not every mascara will accomplish the look you are going for. You really have to read the packages to find out what each mascara was formulated to do. But no worries because We (Kiss and Wink) did that for you today. We give Macara’s of all kinds a SMOOCH! !